The current home of the German-American Society was built in 1914 as a Masonic Lodge, and has housed the Society since 2013. 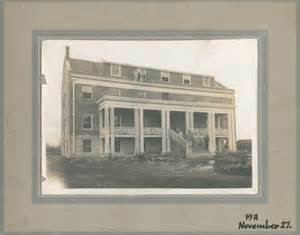 The original home of the Society was built in 1911 and is now being restored by PCC. 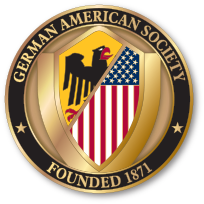 The German-American Society was founded as the Allgemeine Deutsche Ünterstützungsgesellschaft (General German Aid Society) on February 3rd, 1871, less than a month after the unification of Germany into a single sovereign state. With just nineteen members, it was the first benevolent Society for German-Americans in the Portland area. The mission of the Society was to erect and operate a German hospital, to provide aid for needy and distressed Germans, to aid in obtaining employment for jobless members, and to furnish advice and guidance for new immigrants. While the construction of the hospital never occurred, the Society opened an Altenheim, a retirement home, in 1912, and in 1923 constructed the Deutsches Haus on SW 11th and Morrison, which became the organization's new home. Though occupied solely with charity work, the group came under pressure during the Second World War and, like many similar organizations in German-American communities across America, was investigated by the US Government, which concluded that the Society was non-political and not involved with any anti-American activities. After merging with the closely related Portland Social Turnverein in 1960, the Society organized the first Saturday language classes in 1964, which continue today as the German Saturday School of Portland. Thanks to the generous donations by current and former members, the German American Society houses an extensive library of German-language children's books on the second floor, in a room that is currently lacking any sort of cohesive organizational system. As a volunteer, I spend Saturday mornings helping the language teachers and cataloging the books, with the aim of creating an easy, sustainable system with which to track and shelve the collection. The books will be sorted and color coded according to reading level and then shelved alphabetically. As I organize the books, I have created an identically color coded spreadsheet documenting their titles, authors, reading levels, and subjects, so that teachers and students can easily find the content that they are looking for. The current, disorganized children's library. Coming from a German American background on both sides of my family, I was raised in a household that valued history and culture. Though settled in America for multiple generations, our family never fully assimilated into American society, preferring to keep our distinctive name despite pressure to Anglicize it, continuing traditions such as sausage making and beer brewing, and placing a high value on the study of the language. Though not a traditionally underserved community, I always cherished my connection to my roots and the confidence and identity that it gave me, and the German-American Society aids in supporting that for many people in the Portland area. My ten weeks at the Society have been an absolutely fantastic experience. Though I worked very independently and did not get to interact as much with the students and staff as I might have wished, my German improved substantially thanks to the number of books I handled and catalogued. It gives me immense satisfaction to know that the system I have put in place will not only make the upkeep of the library easier for the staff, but that the very fact that it is neat and tidy will encourage students to check out books and improve their own language skills. Though there were some awkward moments when my interest in some of the darker periods of German history were met with uncomfortable chilliness, I found the Society very open and welcoming to people of diverse backgrounds, which is a very positive trait in an organization that could easily become quite insular. While most of the students are either married to or children of German speakers, that is by no means universally the case. Despite a few uncomfortable conversations, this realization went a long way towards making me feel at home despite a few historical faux pas on my part. Where do I go from here? 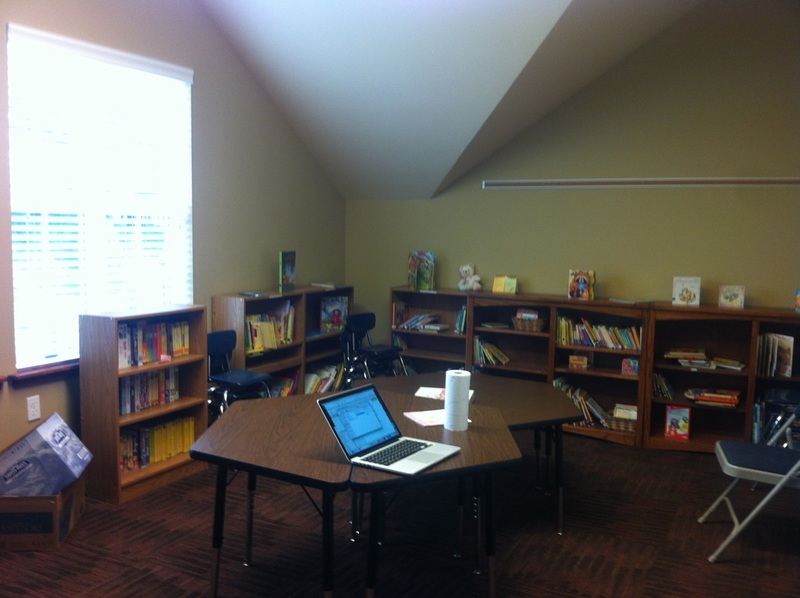 The library is almost entirely finished, and I am so happy to have been able to help this organization. However, I am not a native Portlander, and upon graduation I am heading back to Seattle, where my family lives, and likely, in the fall of 2017, to the University of Heidelberg in Baden-Württemberg, Germany, in order to pursue some post-baccalaureate studies to prepare for a graduate degree in international law. Though my own future does not involve a working relationship with the German-American Society, the time and effort that I gave to them and the knowledge that the experience has given me will serve both of us as we move forward.